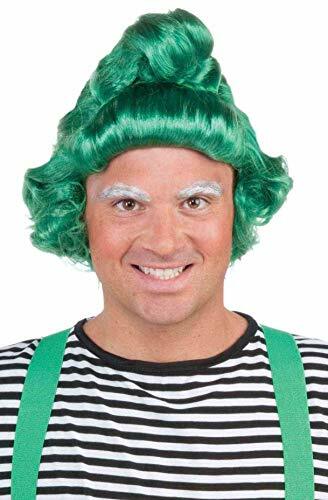 Oompa Loompa Doompety Doo; they'll have a little riddle for you! They'll be ready to help make some delicious chocolate in this officially licensed Willy Wonka and the Chocolate Factory Oompa Loompa costume jumpsuit. Based on the beloved 1971 film. Costume features one piece design; brown long sleeve top with brown and white striped mock neck and sleeve cuffs; attached white suspender capri bottoms with button detail and attached brown and white striped leggings. Includes jumpsuit with attached suspenders and buttons sewn on front, hook and loop closure in back; shoes and costume wig sold separately. Family-owned, family-focused, and based in New York since 1950. As the world's largest designer and manufacturer of costumes Rubie's brings fun and fantasy to dress-up. Offering everything from full mascot suits to masks and wigs, from deluxe licensed costumes to simple starter pieces, from costume shoes to character make-up, and so much more. Rubie's promotes safety in dress-up, so you can relax and have a great time while looking the part. Look to Rubie's for every costume occasion and season: Halloween, Christmas, Mardi Gras, Easter, and all occasions in-between. 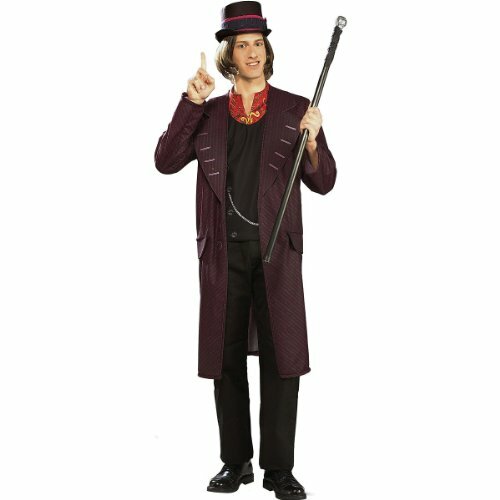 The adult Willy Wonka costume includes jacket with attached vest and top hat. 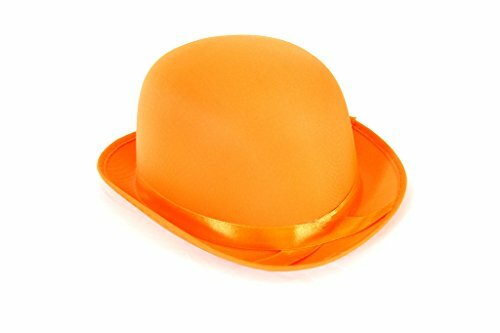 This Willy Wonka comes in adult sizes X-Large, Standard. 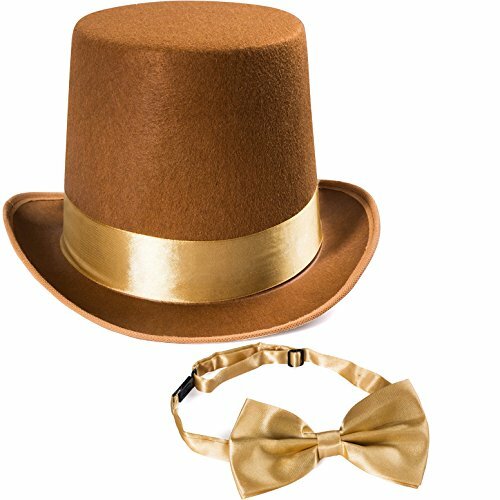 This Willy Wonka for adults is an officially licensed Charlie and the Chocolate Factory costume. 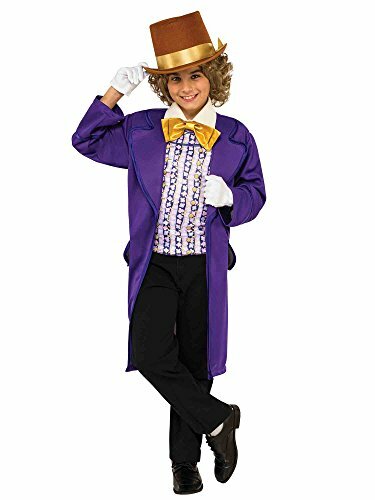 This Willy Wonka is an officially licensed Willy Wonka costume. The wig, gloves, pants, shoes and cane are not included with this Willy Wonka costume. 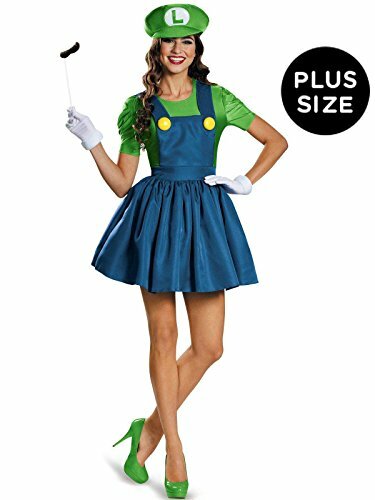 Product includes dress, pair of gloves, character hat and mustache on a stick.